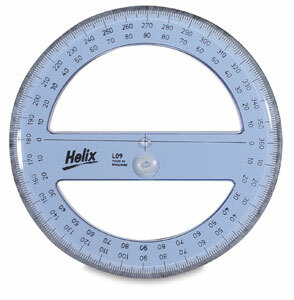 This Full Circle Protractor, made of transparent plastic, measures 6" in diameter. It's crossbeam is 1" thick. It's precisely divided into half degrees, from 0° to 360°.